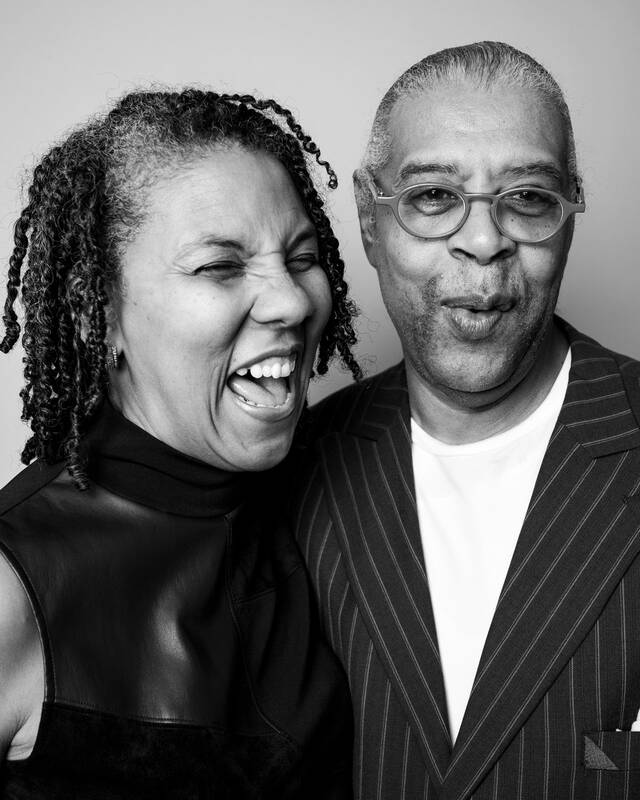 Verna Cornelia Price, 55, and Shane Price, 64, co-founders of The Power of People Leadership Institute. Verna Price and Shane Price have helped thousands since they started The Power of People Leadership Institute 16 years ago. Their programs help everyone from people incarcerated in state prison to young girls of color. Verna Price: I am technically an immigrant to Minnesota. I and my family moved to the United States when I was 10 years old and I'm originally from the Bahamas. And so I came to Minnesota to go to college and I really knew nothing about Minnesota at all. My first venture into Minnesota was because of church, and I attended what used to be St. Paul Bible College but now it's called Crown College. So it came time for my internship and I had two choices: I could go to Mille Lacs Lake, Minn., to do an internship there, or I could go to Park Avenue Methodist Church in the heart of south Minneapolis. And there were people here who wanted my help and needed my help and who celebrated me. I have a core philosophy in my life that I go where I'm celebrated, not where I'm tolerated. That's really important to me. At Park Avenue Methodist Church they absolutely celebrated me and I fell in love with the city. So when it came time to finish college and become a grown-up, I chose Minnesota as a place to be because I had already seen how I could have impact. Shane Price: I'm from Minneapolis. This is my home. I'm a roughneck from right here on the north side. And I didn't get a lot of African-American history in schools. Matter of fact, zero. But an organization called The Way Opportunity Unlimited Inc., it was right on Plymouth Avenue when I was a young guy. And that organization had a couple of guys, Spike Moss and Mahmoud El-Kati and Vuzumusi Zulu. These guys are all still around, and they kind of helped infuse me with a sense of myself. And that sense actually brought me back to my elementary school, where I challenged my fifth-grade elementary school teacher — whose name was Ruby Milligan — I challenged her " that "This isn't all the history, you're not teaching me anything about my history.' And she accepted my challenge as a fifth grader. And with Miss Milligan and the principal, whose name was Mrs. Blunt, at Willard Elementary School, they teamed to create the first African-American History Month in Minnesota public school systems. And it was an amazing experience, but one that I think unfortunately young people even today continue to suffer for the lack of knowledge and information relevant to the contribution, which is vast, that African-Americans have made not just in Minnesota but to society as a whole. SP: Mahmoud El-Kati, who is a retired professor emeritus over at Macalester, continues to be a bright light and a beacon for me. Later on was Dr. Joseph L. White, the author of a book called "Black Man Emerging," who really finished me, who really kind of took me to the adult intellectual place that I needed to come to, being a young roughneck from north Minneapolis with a really hard head but a quick mind. He was able to take that mindset of mine and mold it in an adult academic way and allowed me the opportunity to have a professional career, ultimately, and then put me in the spirit I needed to be in to connect with my wife. I believe the notion of those individuals I mentioned and their contribution to me have helped my wife have a healthy marriage, and she knows all of them. I just don't want to go on without saying that my grandmother is the one who nurtured me in my early days to help me know I was in the right place when I got connected to the individuals that I mentioned. I knew I was in a safe place and what they were saying to me was correct because it resonated so much with what my grandmother had already laid in me. VP: I love people and I love teaching. So when I think about what I would have offered the world, I would have offered the world loving people and I would have offered the world good teaching. With a lot of joy and a lot of positive energy. And a lot of that came from my grandmother, who raised me as a very young child. And she did it with grace. She raised many of us. And when I say many, I mean many. But she did it with grace and she did it with just a love in her heart for people. And she taught us how to serve humanity and to serve people regardless of what they look like, smell like, talk like. She taught us that. SP: I think that African-Americans are experiencing a type of Renaissance. Now, I can't prove it, but I can just tell you I can feel it. There's something moving, there's something on the ground that is calling us together again, this time though with the multitude of people, and it's creating in some ways a new thinking that comes against the old order. I don't say that in a mean-spirited way. But anything that goes up will ultimately come down. It just doesn't have to crash, and I think there's new order, there's a new spirit of people, smart, young, culturally competent people, moving together with a strong African-American core. These guys are gonna change it all, and I'm not afraid of that. I welcome that. VP: My vision is to have every African-American child, every African child, every Caucasian child, understand the impact and significance of African-American people and what they bring to this country. I want them to know that, and see that, and understand that, so that they can see how it all connects and how it all interconnects for them. And so that our African-American children are no longer in any way, shape or form of ashamed of who they are and are made to feel, and our white children are no longer being taught in implicit ways that somehow they are better because of the color of their skin. And I want every young person to stand up in who they are as a cultural person as an African-American person and understand the beauty of that.